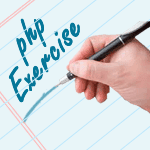 Write a PHP program to sort a list of elements using Quick sort. 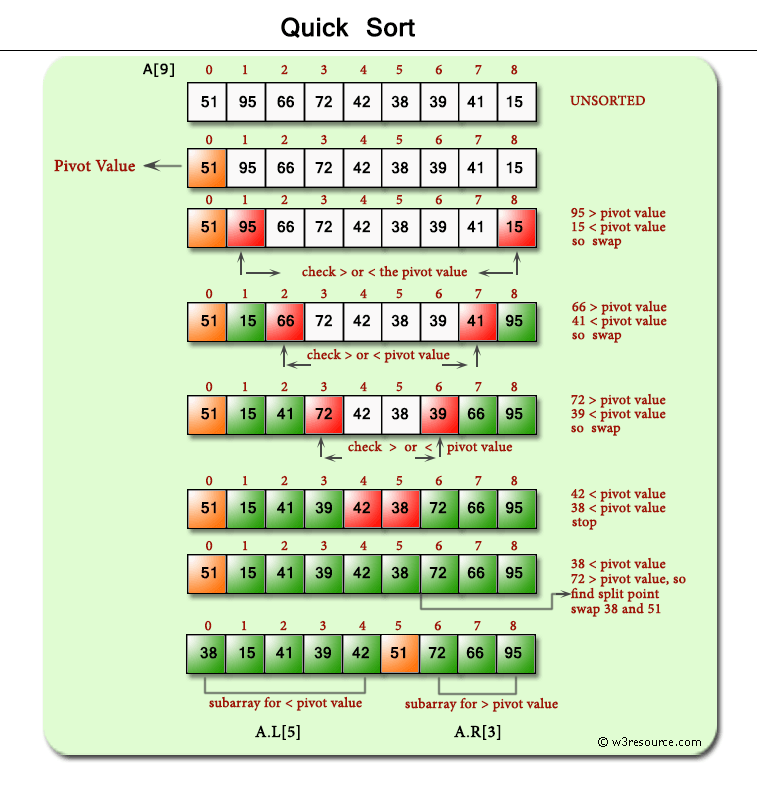 Quick sort is a comparison sort, meaning that it can sort items of any type for which a "less-than" relation (formally, a total order) is defined. 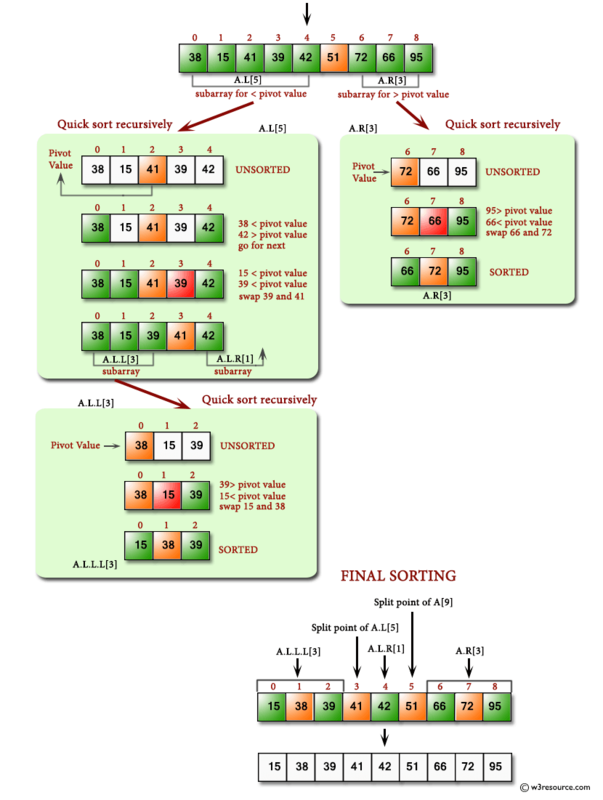 Previous: PHP Searching and Sorting Algorithm Exercises Home. 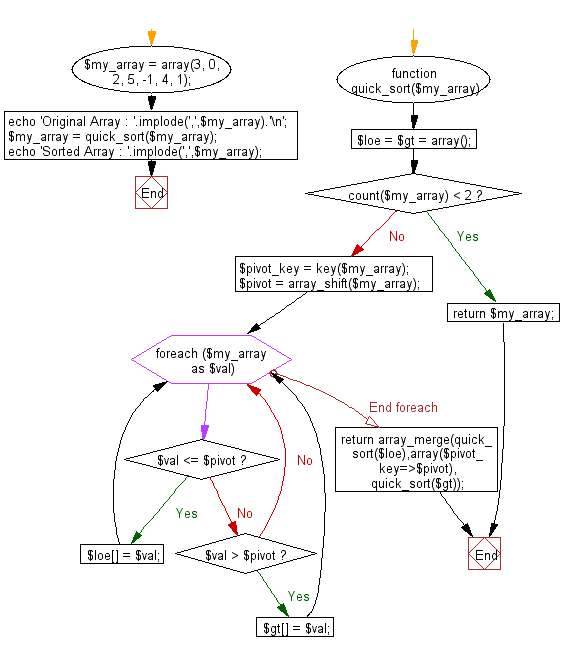 Next: Write a PHP program to sort a list of elements using Heap sort.